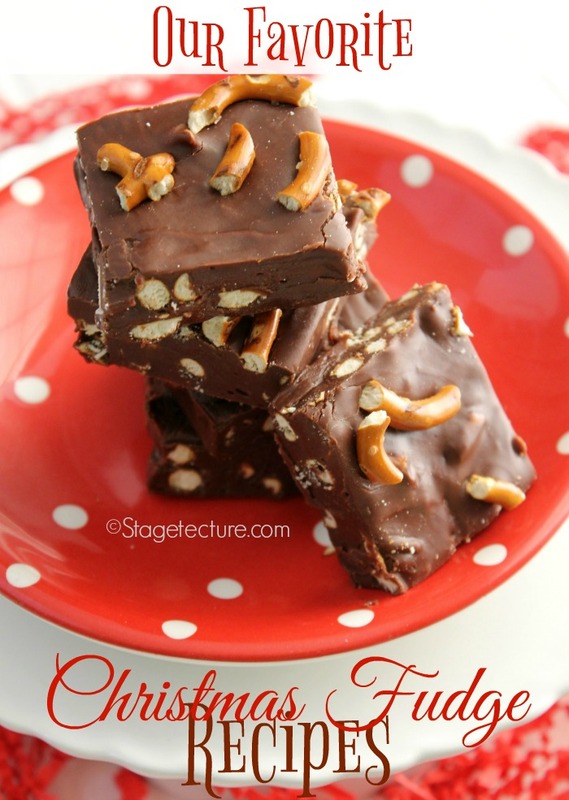 Who doesn’t love an easy fudge recipe at the holidays? Christmas is a perfect time to try all those recipes you’ve been longing to. If your family enjoys fudge, try these two fudge desserts. The fudge looks very festive and is a perfect Christmas dessert. If you are giving food gifts, make it with other candies and cookies. Put several in all your Christmas packages to wow your family and friends. Candy cane fudge is a welcome change from the regular chocolate with nuts fudge everyone else makes. We also love a variation of a traditional chocolate fudge with a unique add in – pretzels! We have two delicious easy fudge recipes to try! The first is a chocolate fudge recipe with pretzels and the second is a vanilla fudge recipe with peppermint candy canes. Let us know which one is your favorite! Line an 8×8 pan with aluminum foil or parchment paper. Mist lightly with cooking spray; set aside. Add chocolate chips to a microwave-safe bowl (like a glass batter bowl). Pour condensed milk over the chocolate chips. Microwave for 40-60 seconds, stirring every 20 seconds. When chocolate is smooth, stir in 1/2 cup chopped pretzel pieces. Pour chocolate mixture into prepared pan. Sprinkle remaining pretzel pieces on top, patting lightly into place. Chill in refrigerator for 3-4 hours before cutting and serving. Line a square or rectangular baking pan with aluminum foil. Grease the foil and set the pan aside. Mix the condensed milk and vanilla chips in a saucepan. Heat the saucepan over medium heat and stir frequently until the ingredients are close to melting. Remove the saucepan and continue to stir until the mixture is smooth. When the vanilla chips have completely melted, add the peppermint extract, candy canes, and food coloring. Spread the mixture evenly in the pan. Refrigerate for around 2 hours or until it is firm. Place on a cutting board and cut into 1-inch squares. 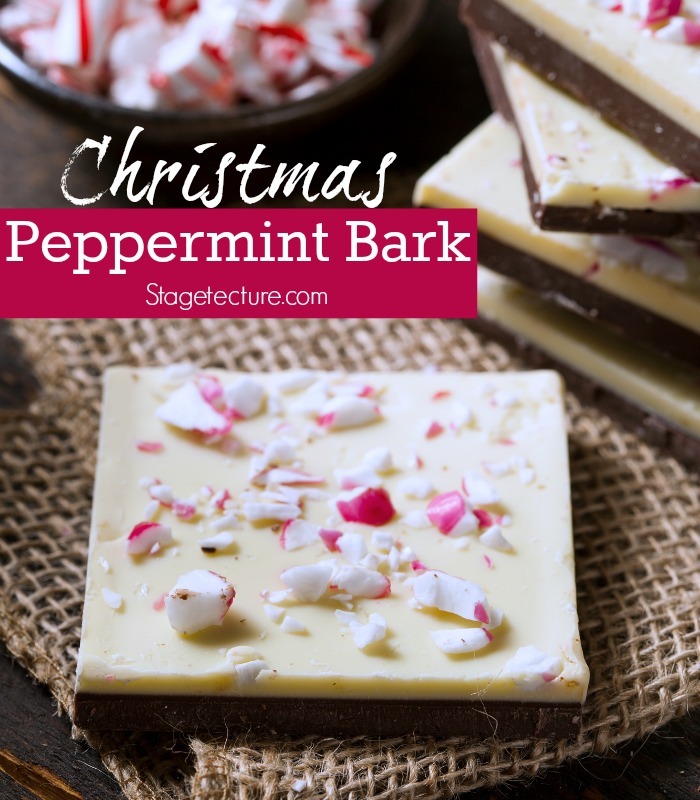 This peppermint bark recipe is very similar to the delicious vanilla peppermint fudge recipe! Looking for more easy fudge recipe ideas? We love these 21 kinds of fudge recipes from Buzzfeed. They are sure to add some variety to your usual fudge recipes. These 50 fudge recipes from Six Sister’s Stuff are yummy too! 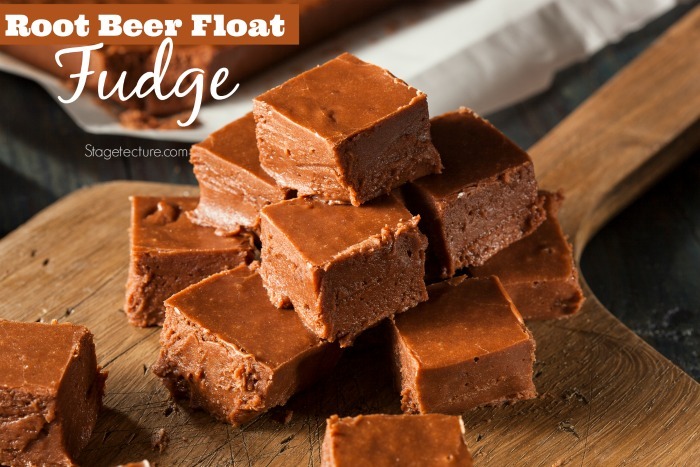 This Rootbeer Float Fudge recipe is a twist on a classic fudge recipe. This Christmas dessert will help you to get into the Christmas spirit. It has a hint of mint flavor that is enhanced by the crushed candy canes on top. 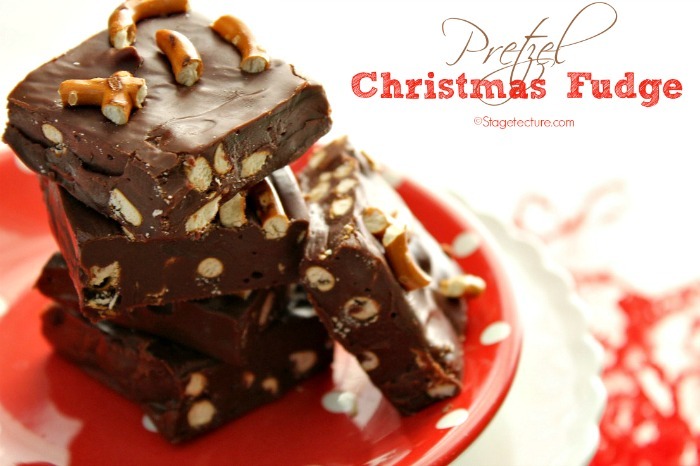 If you are taking the fudge to a holiday party, make lots of it because chances are people will gobble it up. You can also give it a twist for a special outcome. You can make a swirl effect instead of mixing in the food coloring before putting it in the refrigerator. If you’re looking for more dessert recipes take a look at our dessert archives. I love chocolate with pretzels! Salt and sweet at the same time! Yummy! Thank you for sharing with Delicious Dishes Recipe Party this week! Lois you and me both! Thanks so much for your kind thoughts! I love this this fudge! Thanks for linkin' up with What's Cookin' Wednesday! Yum, I have never tried fudge with pretzels - sounds delicious! Thank you for linking up with us at the #HomeMattersParty - hope to see you again this Friday!